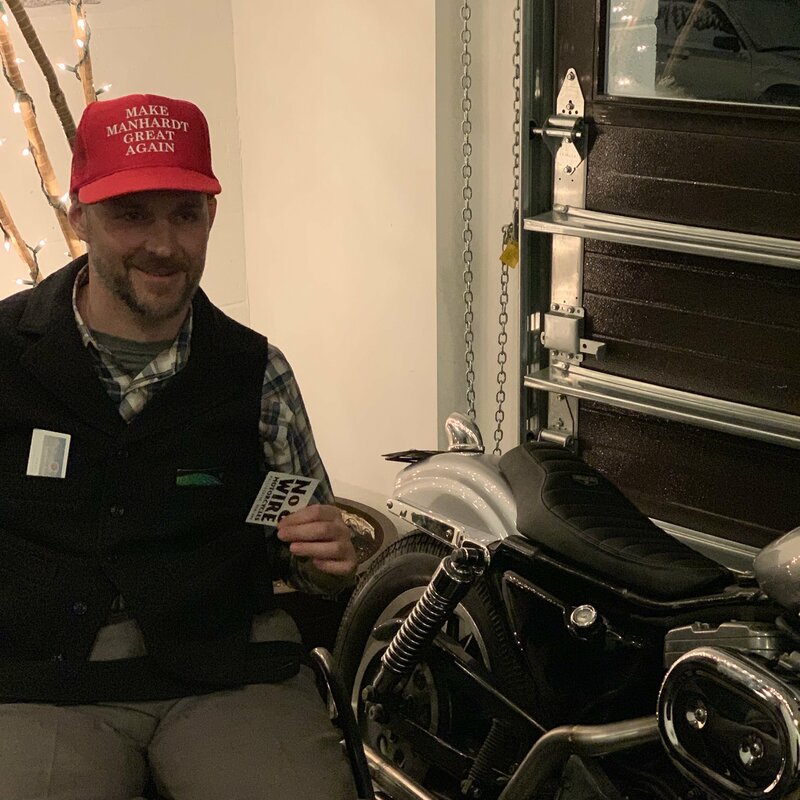 Family and friends of Mike Manhardt are raising money for the nonprofit Help Hope Live to fund uninsured medical expenses associated with his Spinal Injury. On Tuesday, September 18th, Mike Manhardt was seriously injured doing three things he loved; being outside, working with his hands, and being self-employed. While working on a logging project near Condon, MT, an accident left Mike with broken C6 and C7 vertebrae. His work partners acted quickly and first responders got him out of the woods safely so he could be life-flighted to Missoula. Emergency spinal fusion surgery was performed within hours of the accident at St. Pat’s hospital in Missoula. When Mike awoke from surgery, he had some movement in his arms and no movement and faint feeling in his legs. He was transferred to Craig Hospital in Englewood, CO for rehabilitation and has been working hard to become independent, but still has to work extra hard on doing things most of us take for granted. Mike has been strong and positive through the whole experience and has really appreciated all the support from his network of friends and family. 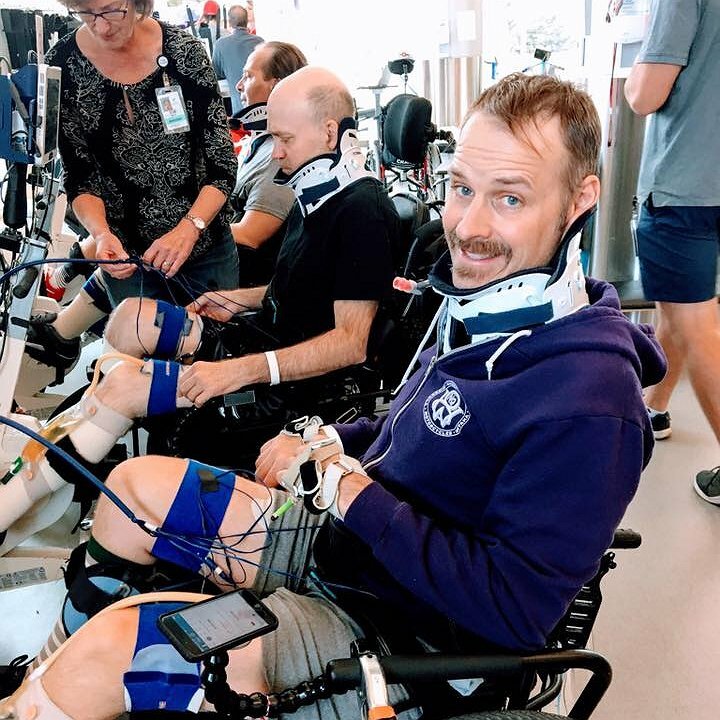 There’s a long road ahead and he is still at Criag in outpatient rehabilitation. Mike has medical insurance. He still needs our help, though. Mike will have medical expenses to pay well beyond his insurance coverage and he won’t be able to work during his outpatient recovery. Mike’s the kind of guy that’s always there to help without asking for anything in return. Please help him now. Michael has chosen to fundraise for Help Hope Live in part because Help Hope Live assures fiscal accountability of funds raised and tax deductibility to the full extent allowed by law for contributors. Contributors can be sure donations will be used to pay or reimburse medical and related expenses. To make a tax-deductible donation to this fundraising campaign, click on the Give button. Mike continues his therapy in the outpatient clinic at Craig Hospital, Denver. You’re an inspiration my friend. So good to see you tonight. hey Mike, I continue to join the campaign and follow your progress - wow, what a challenge! I can't put it into words. Marta and I have some raffle tickets (had hopes to actually see you here in Missoula, perhaps electronically?) and plan to ride away from the gathering on a Harley. If so, a great trip would be to meet up with you in Colorado. Keep it up! Your strength that you show is admirable.